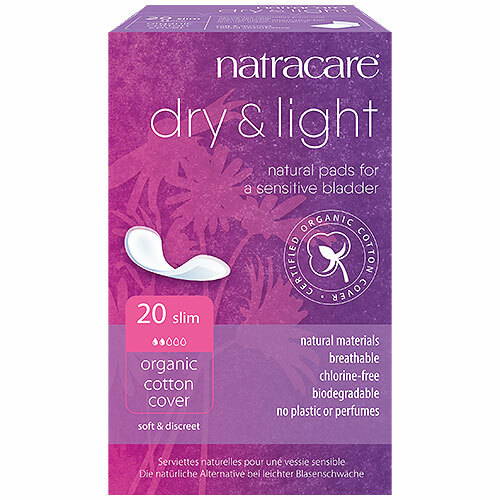 Soft and discreet, Natracare Dry & Light pads are organic pads for light bladder weakness. Made from totally chlorine free, sustainable and natural biodegradable materials, and free from any petroleum-derived super absorbents or plastics that you’ll find in many other products. 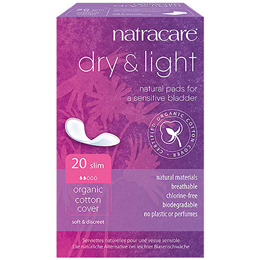 Below are reviews of Natracare Dry & Light Pads - Light Incontinence - 20 Pack by bodykind customers. If you have tried this product we'd love to hear what you think so please leave a review. Soft and discreet, Natracare Dry & Light pads are organic pads for light bladder weakness.